"Dedicated to Art and Free to All" is the inscription atop the museum's Beaux-Art style building, designed by famed architect Cass Gilbert and dating back to the 1904 World's Fair. The Museum's long-standing commitment to free admission makes it possible for everyone to visit some of the 100 galleries with over 30,000 works of art. Through generations of public support and private benefaction, the Museum has assembled one of the finest comprehensive art collections in the country. 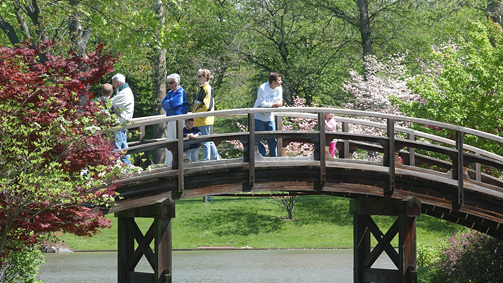 The Missouri Botanical Garden was created by Henry Shaw, a prominent St. Louis businessman who opened his garden to the public in 1859. Inspired by the gardens of his native England, Mr. Shaw intended his garden to be a center for education, scientific research, and horticultural display. Today the Missouri Botanical Garden is a National Historic Landmark and maintains one of the world's leading programs in botanical research. The mission of "Shaw's Garden," as it is still popularly known, is "to discover and share knowledge about plants and their environments, in order to preserve and enrich life." You will find the stunning Climatron® conservatory, a geodesic dome inspired by the design of Buckminster Fuller, the Kemper Center for home gardening with 23 residential scale gardens, a working behive and demonstration kitchen, the 14-acre Japanese Garden of clear harmony and peace and the Cherbonnier English Woodland Garden. Saint Louis Zoo has been rated by Zagat Survey and Parenting Magazine America's number 1 zoo - and it's free! Established in 1910, the St. Louis Zoological Society was provided 77 acres in Forest Park along with a subsequent legislative mandate that stated "the zoo shall be forever free." Today, the zoo houses more than 11,000 exotic animals; it features habitats like Jungle of the Apes, Big Cat Country and icy cold Penguin and Puffin Coast. The Children's Zoo gives visitors opportunities for up close and personal contact with the animals. In addition to the first class exhibits, the Saint Louis Zoo is recognized as an international leader in animal management, research, conservation and education. The Missouri Historical Society has been active in the St. Louis community since 1866. Founding members organized the historical society "for the purpose of saving from oblivion the early history of the city and state." The museum is housed in the Jefferson Memorial Building, the first memorial built to honor Thomas Jefferson. It was funded from proceeds of the 1904 World's Fair. Admission to the museum and library are free to the public. There is a fee for special museum exhibitions, but weekly free admission times are available. The Missouri Historical Society offers programs and outreach services, including traveling exhibitions, theatrical and musical presentations, programs for school classes and youth groups, family festivals, workshops, and lectures. Permanent exhibitions include Seeking St. Louis, an exciting, state-of-the-art, interactive exhibition which tells the history of the region from earliest times to the present. St. Louis Science Center offers more than 700 hands-on exhibits including a construction gallery, a dinosaur exhibit, an ecology exhibit and science demonstrations. There are shows in the Omnimax Theatre, the Planetarium as well as traveling exhibitions in the Exploradome. Ever popular, the Science Center offers an overnight camp for school age youths through grade 6 and their parents. Listed on the National Registry of Historic Places, the Jewel Box is an Art Deco floral conservatory built in 1936. It is constructed of 15,000 square feet of glass. Admission is free from 9 a.m. to noon Monday and Tuesday, and $1 other times. 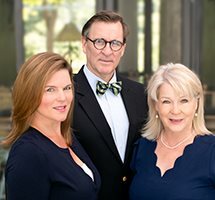 "Although many stars have appeared on stage at The Muny, one essential truth has remained about the nation's oldest and largest outdoor theatre; its story is the story of St. Louis - and of St. Louisans… this magical place, a truly unique American experience". The Muny was built in 1916 in 49 days, minus seven days lost to rain---from scratch. The massive stage was constructed, an orchestra pit built to hold up to 200 musicians, all the concrete was poured and dressing rooms built behind the stage for the principal performers. Broadway musicals, performed by well known casts are produced every summer mid-June through mid-August. It is a St. Louis tradition, one not to be missed. One of the few outdoor skating rinks still in operation, Steinberg operates from mid-November through February, cold weather permitting. It's a great place for birthday parties or just gathering with friends. About 10 years ago, a group of St. Louisans had the idea of producing professional Shakespeare theatre outdoors in a city park, free and for a diverse audience and to provide education through schools and community outreach. 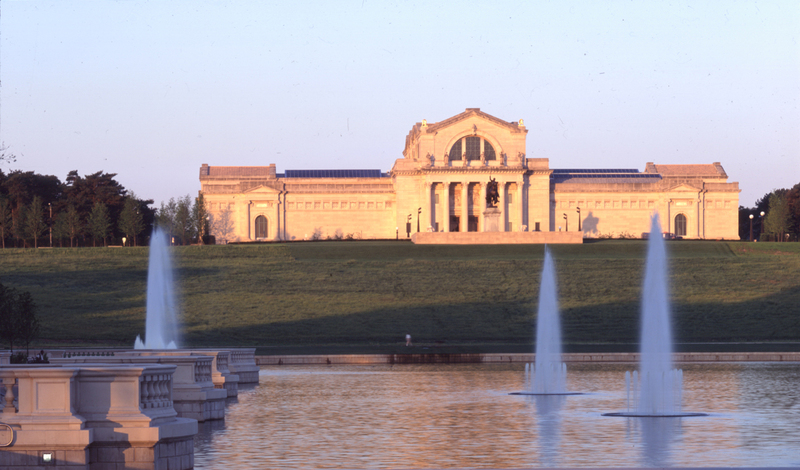 In 2001, the first production, Romeo and Juliet, was unveiled in Forest Park. And from that time hence, the annual Festival was born - Shakespeare is performed the way he intended - over a fortnight in June and free to all. Since 1966, The Repertory Theatre of St. Louis has been the region's premier live, professional theatre. Located on the campus of Webster University, the Reps home is the Loretto-Hilton Center for the Performing Arts, an architectural gems and remarkably flexible public space. Opera Theatre was founded in the spring of 1976 by a small group of opera-lovers who were determined to bring festival-quality opera to the St. Louis area. Each Spring, Opera Theater offers a festival season of quality productions, sung in English by the best young American singers all accompanied by members of the Saint Louis Symphony. The Black Rep is the nation's largest, professional African-American theatre company. Established in 1976, the mission is to provide platforms for theatre, dance and other creative expressions from the African-American perspective that heighten the social and cultural awareness of its audiences. Main stage is The Grandel Theatre in mid town; other performances are held in Edison Theatre at Washington University and Orthwein Theatre at MICDS. Dance St. Louis has been bringing great dance - from American Ballet Theatre to STOMP - to St. Louis audiences for 41 years. It all started with a small group of dance enthusiasts meeting in each other's living rooms to figure out how to enable St. Louisans to enjoy more modern dance performances. From these informal gatherings, Dance St. Louis has burgeoned into one of the cultural treasures of St. Louis. Performances are held at many venues throughout the area. Designed by the architectural firm of world-renowned architect I. M. Pei, the Blanche M. Touhill Performing Arts Center at University of Missouri-St. Louis is one of St. Louis' new landmarks. The Center brings opera, theatre, contemporary concerts, The St. Louis Speaker's Series and dance to St. Louis audiences. Grant Center is a four block district in mid town St. Louis, near the campus of St. Louis University, which provides home to 12,000 theatre seats, 12 galleries and museums and over 1500 cultural events. Throughout the years, the Fabulous Fox, combining stage and screen shows, has been a showcase for movie premieres, great stage attractions, special events, and many of the famous personalities of show business. The Saint Louis Symphony Orchestra was founded in 1866 on the belief that great music should be available to everyone. Under the guidance of Music Director, Dave Robertson, SLSO is recognized internationally as an ensemble of the highest caliber, performing a broad musical repertoire with skill and spirit. With a capacity of 2,689 seats, exquisite Powell Symphony Hall is one of world's finest concert halls. The Sheldon, designed by the noted 1904 World's Fair architect Louis C. Spiering, was built in 1912 as the home of the Ethical Society of St. Louis. Musicians and public speakers throughout the years have enjoyed the perfect acoustics of the Sheldon Concert Hall, earning The Sheldon its reputation as "The Carnegie Hall of St. Louis." In 1998, The Sheldon expanded its artistic focus to include six new art galleries in a $5 million dollar expansion project. The American Kennel Club Museum of the Dog, located in beautiful Queeny Park, West St. Louis County, is home to the world's finest collection of art devoted to the dog. The world headquarters of Anheuser-Busch is located in the city's historic, 100-acre brewery just minutes from downtown. Clydesdale paddock and stable, the beech wood cellars, historic Brew House and Bevo packaging plant are on view during the free tour. Basilica of Saint Louis, King of France Romanesque Cathedral with tiled, domed roof houses the world's largest collection of mosaic art, created by 20 different artists and covering 83,000 square feet. Rising 630 feet above the Riverfront, the stainless steel Gateway Arch is the country's tallest man-made monument. Visitors can ride a tram to the top for a panoramic view of the city. The Museum of Westward Expansion and Imax theatre are located underneath the monument. Popular family theme park features roller coasters, thrill rides, shows and water park. Insider's Tip: St. Louis Children's Hospital reserves the park once a year for an annual fundraiser for an evening of great fun with no lines! Housed in the 600,000 square-foot former International Shoe Company, the museum is an eclectic mixture of children's playground, funhouse, surrealistic pavilion, and architectural marvel made out of unique, found objects. Caves, slides designed by artists, five stories of climbable tunnels made from large slinkies and a 13,500 square foot aquarium make this the most original museum you will ever visit. Once the estate of Ulysses S. Grant, this 281-acre wildlife preserve is the ancestral home of the Busch family. It houses more than 1,000 animals, including the breeding operations for world-famous Clydesdale horses. Visitors take a train around the preserve to view exotic animals. Admission is free. More than 80 sculptures in an outdoor collection are situated throughout the 98-acre park in South St. Louis County. The 113-year old former passenger rail station was redeveloped into an entertainment and shopping complex. A Hyatt-Regency hotel anchors one end of the station. Purina Farms combines a tourist center and two canine competition areas. Show and field events as well as hands-on activities and exhibits reinforce the bond between pets and their people. Located in Grey Summit, Missouri about 1 hour from downtown. Call for reservations. The Magic House will engage all children in hands-on learning experiences that encourage experimentation, creativity and the development of problem-solving skills within a place of beauty, wonder, joy and magic. A tropical conservatory, beautiful gardens, sculptures and exhibits provide habitat for more than 1,000 butterflies in free flight located in Faust Park, Chesterfield. Opened in 2009, City Garden is a delightful addition to downtown St. Louis. With the Gateway Arch gleaming above, City Garden is an oasis in the heart of the city. Renowned sculpture, water features, lush plantings and award wining design elements will delight visitors. Admission is free and open to all.